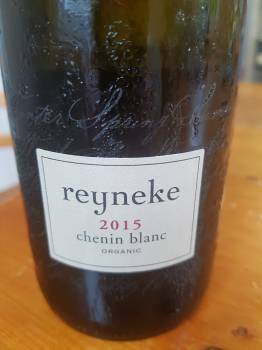 The Chenin Blanc 2015 from biodynamic property Reyneke Wines in Stellenbosch is a particularly sophisticated and demanding proposition. Grapes from the oldest vineyard on the property being in excess of 50 years old, the wine was fermented in a combination of second-fill 300-litre barrels and 2 500-litre foudre, maturation on the lees lasting 10 months before a further two months in tank. The nose is subtle and multi-faceted with notes of citrus, stone fruit, some leesy complexity plus a little earth while the palate is lean and tight – pure fruit, arresting acidity, the finish wonderfully long and savoury. It’s already very rewarding to drink but should only improve over the next five years. Approximate retail price: R170 a bottle.